The troubles of the West Indies increased on the tour of New Zealand when top international all rounder Kieron Pollard has withdrawn from T20 international matches for his personal reasons.Team officials confirmed that Pollard out. in Earlier days Ronaldford Beaton out of the T20 series due to his injury. The West Indies team has not won any win on the tour of New Zealand. 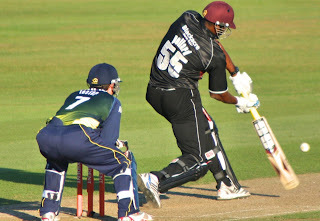 The team lost both the Test matches within four days while the series of three ODIs also lose by the team at 3-0.West Indies bowler said that Left-handed batsman Shimron Hetmeyer will replace Kieron Pollard, who is unavailable for his some personal reasons.Sheldon Cottrell Left-arm fast bowler will replaces fast bowler Rossford Beaton.